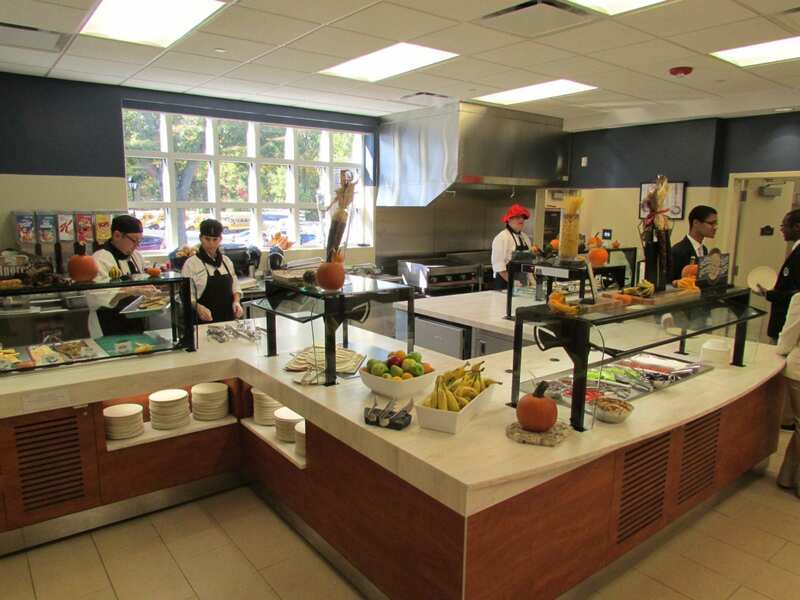 Stony Brook school had recently constructed a new building on campus. 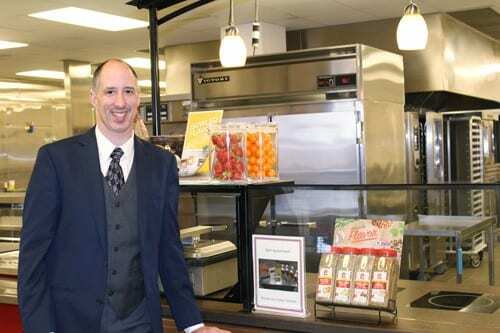 A new cafeteria was added in order to accommodate an increase in the student population. 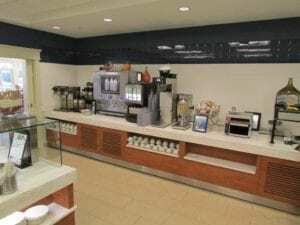 The University and design architect wanted a counter product that would provide the durability and longevity of stainless steel but also have the custom flexibility have a modern, non-commercial appearance. Traditional millwork construction made of wooden structure and sub-straight was not an option. The counters needed to be easy to install in the field. 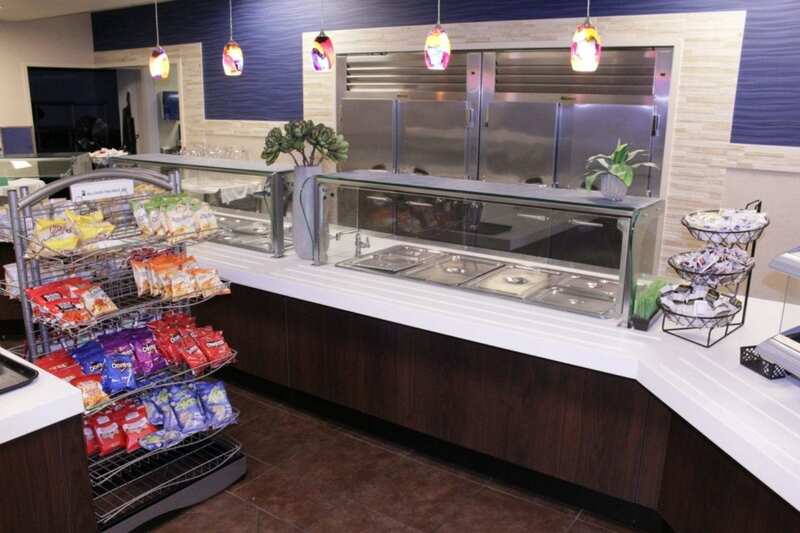 Sage Dining Services, the foodservice management contractor, also had specific requirements such as the need for flexible equipment options that would provide a wide array of different menu items on a daily basis within the same equipment foot print. 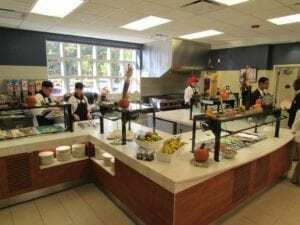 Because of their extremely high standards for food quality and freshness, Sage Dining Services also place a high emphasis on how food is displayed and merchandised to their customers for maximum participation and customer satisfaction. The counters were completely pre-wired from the factory so they could be connected by the electrician with one electrical service per counter section. This greatly facilitated the installation cost and time to complete the project in the field by eliminating the need for multiple wires and circuits. Convertible food shields; allows the operator to convert a service station from self service to serve only by simple adjusting the front glass. This can be done by one person, without the need to adjust knobs and brackets. 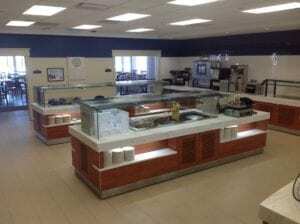 Food stations can be tailored for menu verity and to suit labor and food costs. 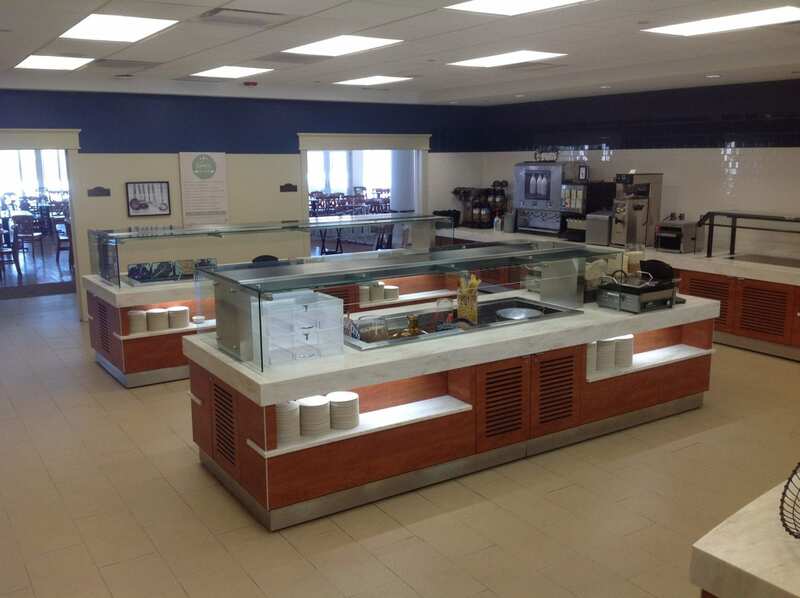 14’-0” Island counters with long span custom food shields; eliminates the need for center posts and greatly improves access to food. Food wells that can be converted between hot or cold operation individually. One well can convert to hot food; adjacent wells can be all cold during one meal period, or converted to all hot during another meal period depending upon the menu offering. The ultimate in menu flexibility and variety. Countertop or built in induction units; Can be used for cook to order or cook to serve a wide verify of traditional and ethic menu offerings. Adds animation and aroma to the dining space. Flat heated thermal shelves in lieu of tradition food wells; food is displayed in shallow platters and hi end cookware to maximize the food presentation level and control quantities. Recessed front plate shelves; frees up the counter top for more food display area and less clutter. Shelf can also be used to merchandise food products and pre-packaged snacks. 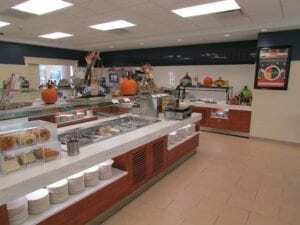 All food shields and plate shelves with LED lighting for maximum effect and color correctness to enhance food displays. Using Multiteria to assemble and apply the countertops, exterior finishes, drop in foodservice equipment and food shields eliminated confusion and lack of coordination that typically occurs when using multiple trades. Multiteria is the single source of accountability, a one stop manufacturer that consistently delivers an exceptionally high-quality product. Wilsonart “Wild Cherry” plastic laminate exterior creating a sleek, upscale appearance.